Before purchasing a book I suggest that you visit the publisher’s website to find the latest edition of that book. But often it’s best to purchase books from Amazon.com, e.g. because some of these websites can’t accept foreign credit cards. Elite Traveler. The Private Jet Lifestyle Magazine. Web: elitetraveler.com – Donald J. Trump recommends this magazine in his book: Trump: Think Like a Billionaire. Information about the greatest luxury in traveling, e.g. private jets, yachts and hotel suites. The magazine can be read on-line for free or by paid subscription for the print edition. The magazine also provides free on-line guides e.g. on luxury traveling and products. Condé Nast Traveller. Web: cntraveller.com – Provides miscellaneous information about traveling. I recommend the annual Readers’ Travel Awards on the best in traveling for different category e.g. countries, cruise lines, hotels, tour operators and villa-rental company. The magazine has also Hot lists and Gold lists, which are very useful. The Insight Guides. Published by the Langenscheidt Publishing Group. Web: insightguides.com – Provides information about countries in short but informative text, good color photographs and maps. This makes choosing of destinations and planning traveling easier. The books start with background information about the countries including history, religion, culture and politics. Also recommendations and warnings. At the end of the books are information about accommodations, restaurants, etc. National Geographic Traveler book series. Web: nationalgeographic.com – Provides information about countries in short but informative text, detailed maps and good color photographs. Organized by cities and areas, the book covers the best sites and attractions throughout a country. The World’s Best: The Ultimate Book For The International Traveler. Published by International Living, 2005. Web: ilbookstore.com – Over 200 seasoned travelers and expatriates write about 5,102 fascinating places in 46 countries, e.g. hidden mountain monasteries in Bulgaria and exotic markets in China. China Business Handbook. Publisher: ACA Publishing Limited. – This is the only book about China, I have found, that provide good information about all the provinces. Concise, clear and well organized. 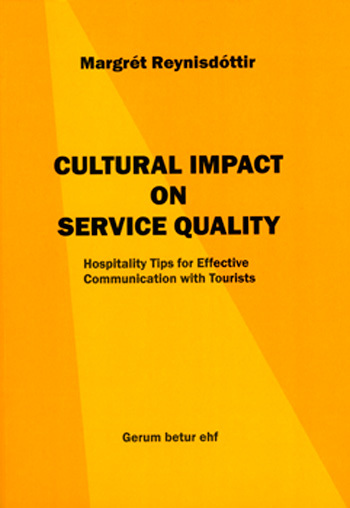 Though it is written for those doing business in China, it is also very helpful for tourists. In-depth Industry overviews written by experts covering every key sector of the economy with the most up-to-date statistics and charts. Useful information, interesting places, maps, economics statistics, industrial parks, major hotels, websites, restaurants, bar, hospitals. Cross-Cultural Business Behavior: Negotiating, Selling, Sourcing and Managing Across Cultures by Richard R. Gesteland. Publisher: Copenhagen Business School Press; 4th edition, 2005. ISBN-10: 8763001497 and ISBN-13: 978-8763001496. – This book is a practical guide for negotiating with customers and suppliers around the world. Professor Gesteland draws upon his own vast experience in cross-cultural negotiating and managing in 30 years for several large American companies. He uses both a systematic, thoughtful approach to understanding the differences between national cultures and stories. The book explains e.g. patterns of cross-cultural business behavior, formal vs. informal business cultures, time and scheduling, nonverbal business behavior global business protocol etiquette, and how to deal with corruption and bribery. Understand Western Culture, by Pam Wadeson, Foreign Languages Press, Beijing, China, 2001. – Both written in English and Chinese. The book is for Chinese students studying in western countries, helping them to understand the culture there. Don’t They Know It’s Friday? Cross-Cultural Considerations for Business and Life in the Gulf by Jeremy Williams. Publisher: Motivate Publishing, 1998. ISBN-13: 978-1860630743. – Jeremy Williams, OBE, has more than 20 years´ experience of the Gulf region as former British Defense-Attaché to the UAE and Bahrain. His company, Handshaikh Ltd, conducts seminars, briefing programmes and negotiation training for organisations with Gulf business connections. This handbook is an essential guide for anyone wishing to do business in the Gulf, but also helpful for travelers. It not only focuses on Gulf business practices, Arab culture and behavior patterns, but also prepares the reader for the many life-style changes which may be experienced. It includes a comprehensive section of Islam and discusses its effect on daily life in the Gulf, thus dispelling many of the myths associated with the region. The book is recommended by Dr Obaid Ali Bin Butti, Director Gulf Section, Juma al Majid Centre for Culture and Heritage in Dubai, and Abdullah bin Eisa al Serkal, Director, The Shaikh Mohammad Centre of Cultural Understanding, Dubai. Take Care! : Poisonous Australian Animals by Struan Sutherland and Susie Kennewell. Publisher: Hyland House Publishing, 2005. ISBN-10: 1864470682 and ISBN-13: 978-1864470680 – Information about poisonous animals, prevention and first aid. Very well organized with many illustrations. Struan Sutherland (1936–2002) was the ultimate authority on the medical management of envenomated victims in Australia for almost 3 decades. He invented the pressure-immobilisation first-aid technique for snakebites and helped develop the snake venom detection kit. He founded the Australian Venom Research Unit at The University of Melbourne. How to Treat Bites and Stings by Gerry and Marlene Swan. Published by New Holland Publishers, 2006. Web: newholland.com.au. ISBN: 9781877069369. – Australia is full of creatures that bite or sting – even some plants sting or are poisonous. A list of creatures and plants alphabetically, from Ants to Wasps, color photographs to help identify the culprit, symptoms of the bite or sting and how to treat it and star ratings of how dangerous the creature or plant is. Also maps that shows the locations in Australia of the creatures and plants.